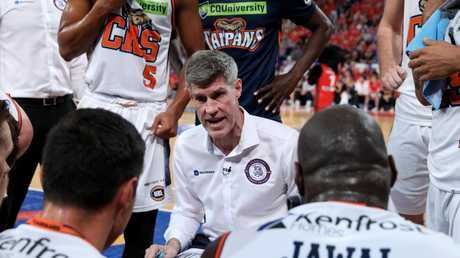 The Cairns Taipans have waved goodbye 2018 in style. Sitting bottom of the ladder, they have started 2019 in sensational form. They beat the Brisbane Bullets in their first game of the new year, almost ran down top side Sydney and on Friday night knocked off the Perth Wildcats on their home court. Coach Mike Kelly has challenged his young side to continue the improvement over their remaining 10 games of the season. That run starts on Sunday when they host Melbourne United. "We are going to celebrate each game a little bit. We did when we beat Brisbane the other day," he said. "There is little growth every time; every week and in the last couple of weeks it has showed up as wins. "We weren't able to finish games; we were in them, but not able to finish. "(The win against Perth) is a moment and we need to build on it. If we don't, it is just a win in the middle of the season." Cairns is being led by 23-year-old rising star Melo Trimble. 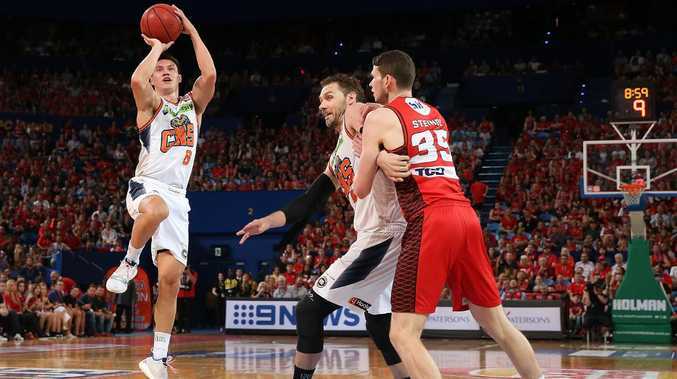 On Friday night, when others were struggling to take the game by the scruff, including reigning MVP Bryce Cotton, he took control and knocked down 32 points. Several of his six successful shots from beyond the three-point line came at times when Perth was starting to get a roll on. He also pulled down seven rebounds. Devon Hall, also only 23, made three of four shots from long range and added four assists and four steals. With 14 points, eight rebounds and five assists, veteran Nate Jawai provided solid back up for his young teammates. Kelly said they are all benefiting from a bit more direction than what they had from the coaching staff earlier in the season. "Truthfully, they had some freedom, not that we have taken away their freedom, but we have tried to funnel them and give them more direction," he said. "We have some young guys that led this team. They needed a little more direction and they have taken that well and continue to come every day to practice. "And the continued toughness of sticking together has allowed us to play better every week."